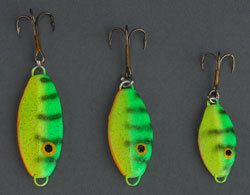 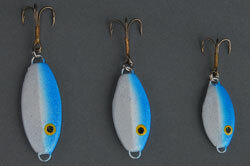 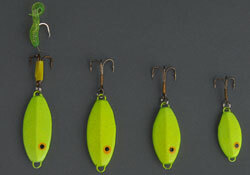 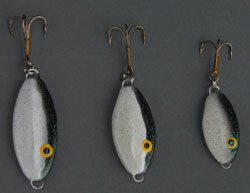 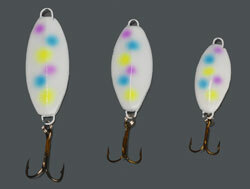 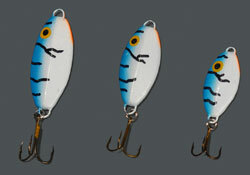 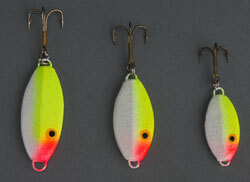 Another new product for 2013 is the Slab Spoon with a pre-rigged marabou jig. 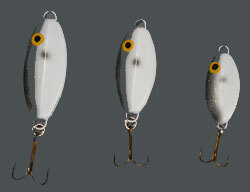 Click on the button to the left to see this new spoon. 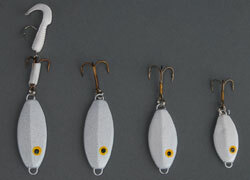 The rig itself is deadly on white bass, 2 at once is twice the fun. 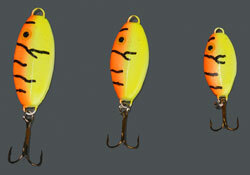 Works on other species as well. 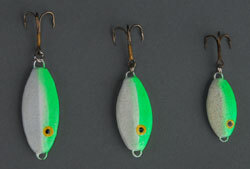 1 1/8 oz. 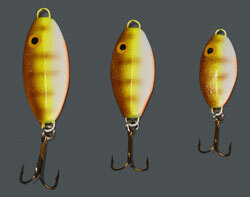 & 1 3/8 oz.